A lot of talk has been happening revolving around Joss Whedon's involvement with the upcoming Justice League. Recent reports suggest that Zack Snyder's original cut was "unwatchable" and that Whedon has essentially taken a knife to the movie to completely change the tone, including cutting characters completely out of the movie. In a recent interview, Wonder Woman herself, Gal Gadot refutes those rumors by saying that the movie has already been shot and there's nothing Whedon can really do to change the tone of the movie. Snyder had to leave Justice League due to a family tragedy and asked Whedon to take over on the project to finish reshoots, but it had been Snyder and the studio's intention to have Whedon jump on board all along, before Snyder stepped away. The reshoots have reportedly turned into marathon shoots that have cost Warner Bros. a giant chunk of cash and rumblings of a co-director credit have been floating around since it appears that Whedon has changed quite a bit of the movie. It was reported yesterday that Jessie Eisenberg's Lex Luthor had been cut from the movie entirely and that Darkseid had also been removed. Gal Gadot recently sat down with Rolling Stone and discussed the rumors surrounding Justice League. According to Gadot, the tone of the movie cannot be changed because it has already been shot. The actress explains. "Look, Joss, to my understanding, was Zack's choice to finish the movie. And the tone can't be completely different because the movie was already shot. Joss is just fine-tuning." Ben Affleck recently claimed that the movie is "an interesting product of two directors," which lead to further speculation about what could be happening behind the scenes for the movie. But Gadot says that Whedon is "just fine-tuning" Justice League and she would no more than some reports. Gadot's comments on Justice League echo the announcement of Whedon coming on board to handle the reshoots. Gadot could just be sick of answering questions about the status of the movie all of the time and trying to put the rumors to bed, as she does not mention anything that has changed during the course of the reshoots. We may never know exactly what Whedon went in and changed until the movie comes out in November. Gal Gadot is closer to the project than any of the sources that have been "close" to the project and so her words should carry more weight, but at the same time it is hard to see some flames when there is so much smoke coming from the project. Regardless of whatever is happening behind the scenes, Justice League is still on track to open on November 17th, 2017 and that is a good thing. 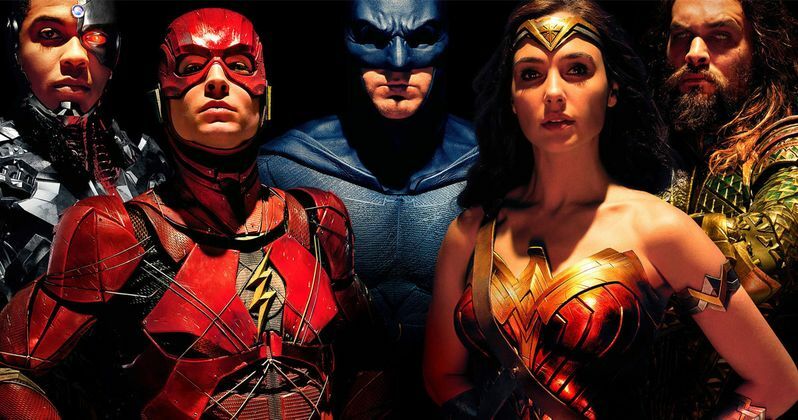 Warner Bros. and DC are riding a wave of success thanks to this summer's Wonder Woman and in turn have announced a staggering number of upcoming projects that will see the DCEU and expand in all kinds of different ways, let's hope that Justice League comes out on top after all of the rumors surrounding the project.